As can be seen in the quote opening this article, however, the battle for truth has been one that has been going on for quite some time. Solomon reminded us that there is nothing new under the sun (Ecclesiastes 1:9) and it is certain that the church of yesteryear also had its doctrinal battles to wage. But it seems that no generation prior to our own, had to contend with the “church” being immersed in doctrinal error and ignorance. If you were to ask the average church goer what he bases his membership of that particular body on, they would likely be hard pressed to give you a biblical answer. And it is no surprise why that is so. Preachers have abandoned the preaching and teaching of the pure, unadulterated word of God, for feel good sermons that are all about the hearers and how they can be happy. Now, don’t get me wrong. I think it’s important to minister to people who are wounded. But the problem is that all too often the cause of such wounding is not addressed: the sin sick soul and the effect that such sinful behavior has on a person’s life. In keeping with society’s “vibe,” many such as the church above offer all kinds of worldly advise and wisdom and throw in a little bible to make sure they don’t leave the faith completely behind. After all, if we’re going to be a “church,” then we need to at least give the person a verse or two! How does that compare with the Bible, you may ask? 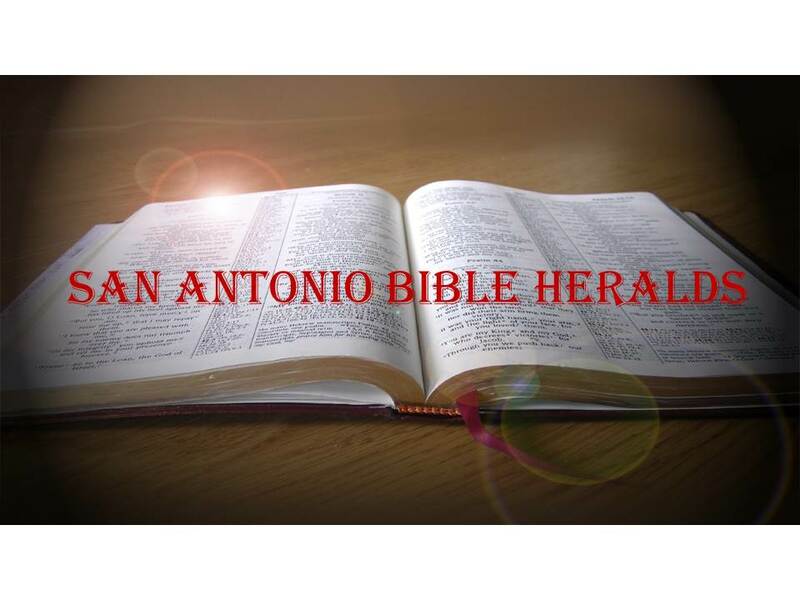 Take a look at the 64th chapter of Isaiah and that will give you the answer. We have all heard the sixth verse recited many times (“our good deeds are as filthy rags”). But we often aren’t given the context of the statement. What leads Isaiah to pen those words, is the complete disregard that the people of God, the Jews, had for God and his calling. In verse seven, Isaiah tells his readers why their deeds are so abominable in God’s sight: “And there is none that calleth upon thy name, that stirreth up himself to take hold of thee: for thou hast hid thy face from us, and hast consumed us, because of our iniquities.” Rather than telling people that they are basically good and that all they need to be accepted of God is a little tweaking, we’d be much better advised to let them know that the God with whom they have to do is a holy God to whom even one sin, however “minor,” is detestable. It is indeed distressing to think of the consequences of our current churchianity. If the time comes when the followers of Christ are under extensive and systemic attack, what will be of those who make a decision for Christ because of what He can do for them? Perhaps the current rush of many denominations to accommodate the homosexual agenda and other liberal causes is the first salvo in the complete abandonment of doctrinal truth. I fear that all too many are following headlong into destruction simply because they just don’t know what the truth is. If you’re simply trusting that the “dude at the front” will always tell you the truth, then you’ll be in for a rude awakening. In the final analysis, to neglect doctrine will prove lethal. 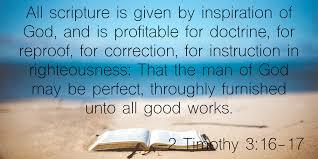 Paul reminded Timothy to “take heed to the doctrine, continue in it. For in so doing you will save both yourself and those that hear you” (1 Timothy 4:16). And near the end of his life, when he wanted Timothy to be secured in his ministry and strengthened for the work that was ahead, he reminded him that “all scripture is God-breathed and profitable for doctrine, for reproof, for correction, for instruction in righteousness; that the man of God be perfect thoroughly furnished for all good works” (2 Timothy 3:16-17). It was not Timothy’s gentleness or even his relationship to others that would ground him in the faith. It would be the Word and its prescriptions. Without it, we’re adrift in a sea full of monsters. Sadly, in a burning zeal to be relevant, many churches end up being irrelevant in those specific functions God calls them to. The pressure of the world, the pressure of "enlightened modernity," the pressure to have a hip/man centered gospel coupled with meeting "perceived needs" has made many churches of no eternal significance, and mere husks of spirituality. Though we are indeed called to good deeds in the outworking of our faith. We are NEVER called to substitute those good deeds for right doctrine, personal holiness and the pursuit of genuine spiritual maturity. David, the problem I perceive is the issue that has afflicted us humans from the beginning. We need to "see" the effects of what we term the truth in order for us to be satisfied. And what I mean is that we have a natural tendency to believe that if we can do stuff (what we can see), then we must be on the right track. We ignore that people do good things all the time. That, however, does not justify them in the sight of God. If all it took was to do good things, then just about everyone would be saved! As Paul reminds us, however, "if righteousness comes by the law, Christ is dead in vain" (Galatians 2:1). We need to ensure that our good works flow from our faith and surrendering to God. Otherwise they will all be in vain. Thanks.